Critter babies enjoy playing with all of their friends in the Baby Discovery Forest. 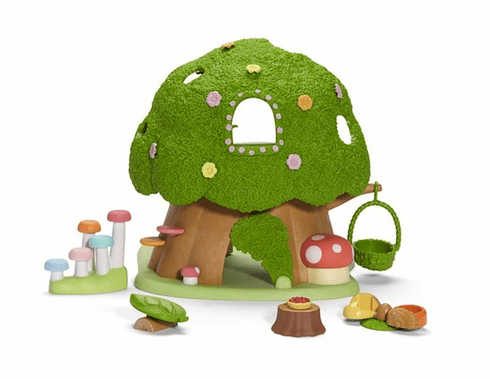 Forest set includes acorn, carousel, leaf seesaw, basket swing, movable slide, tree stump with flipping top and berry pie, mushroom steps, and 11 decorative flowers. Critters not included.